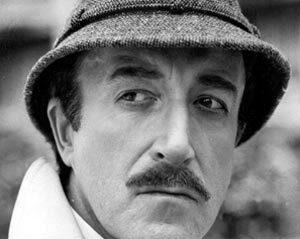 People who do not know Jacques Clouseau think of him as France's greatest detective; however, those who do get to know him are quick to realize his incompetence and limitations. Jacques Clouseau fancies himself a suave master of deduction and disguises, but invariably ends up falling off couches, stumbling over potted plants and creating havoc while baffling interviewees with his ridiculous paté-thick accent. Jacques Clouseau has become synonymous with anyone who keeps making ludicrous assumptions and has difficulty solving routine problems. We all know someone who thinks, without any justification, that he/she is well-informed and brilliant. I know one such person. Can you guess who? Look at the picture!